Hi! 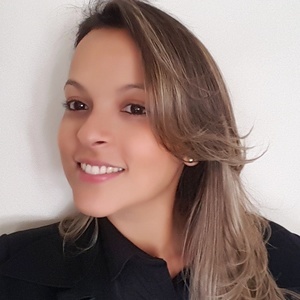 I am a 31 years old Brazilian, who is passionate about working with children and really enjoys being around them! My passion for childcare began after my friends' children were born. Spending quality time with them made me realise how much I enjoyed to be in kids' dynamic and fascinating world. I am glad about having some interpersonal skills that I consider extremely important for a Nanny roll. Such as: multitasking, understanding kids’ emotions and behaviour, being able to handle with stress, having the energy to perform different activities and outings, being able to manage more than one child at a time, and being cheerful but at the same time responsible and reliable. I simply love children and love caring for them! I've been living in Australia for 2 years now and working as a Nanny here has been wonderful. In this period of time I've worked with different families and children, embracing kids from 0 to 6 years old. Currently, I'm working a couple of days a week with a family of 2 children. One 10 months old girl and another 3.5 years old girl. Managing both of them and, at the same time, being able to do some housework cleaning gives me great experience and multitasking skills. I am happy to give their reference, if needed.